This HDPE Drain Sump Grate is custom-fabricated from HDPE plastic. The heavy-duty plastic allows for a different grate look that can be well hidden withing concrete fountain decks. The material is very easy to keep clean, and leaves you with no rust worries. The grate can be fabricated to the size your project requires. 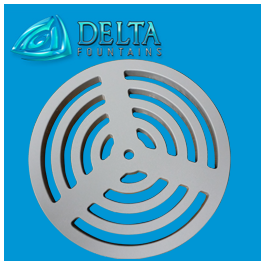 Delta also offers Decorative Fountain Grates in stainless steel and Acrylic. For more information about this grate style, contact us today.